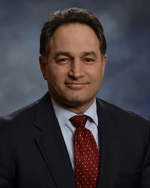 David M. Khani serves as a Director and the Chief Financial Officer of CONE Midstream Partners. Mr. Khani joined CONSOL in September 2011 as Vice President — Finance, and was promoted to Executive Vice President and Chief Financial Officer in March 2013. Prior to joining CONSOL, Mr. Khani was with FBR Capital Markets & Co., an investment banking and advisory firm and held the following positions: Director of Research from February 2007 through October 2010, and then Co-Director of Research from November 2010 through August 2011. Previously, he served as Managing Director and Co-Head of FBR’s Energy and Natural Resources Group.